by Feeding7Sisters.com in Soups On! Happy New Year! Working in retail, the holiday season was a busy one for me so I haven’t been blogging much but I hope to do more of it now! And I was cooking this soup up today so I figured what better time to start. One of my girls loves the Japanese steakhouse near us… in fact we’ve gone there every year for her birthday as long as I can remember. 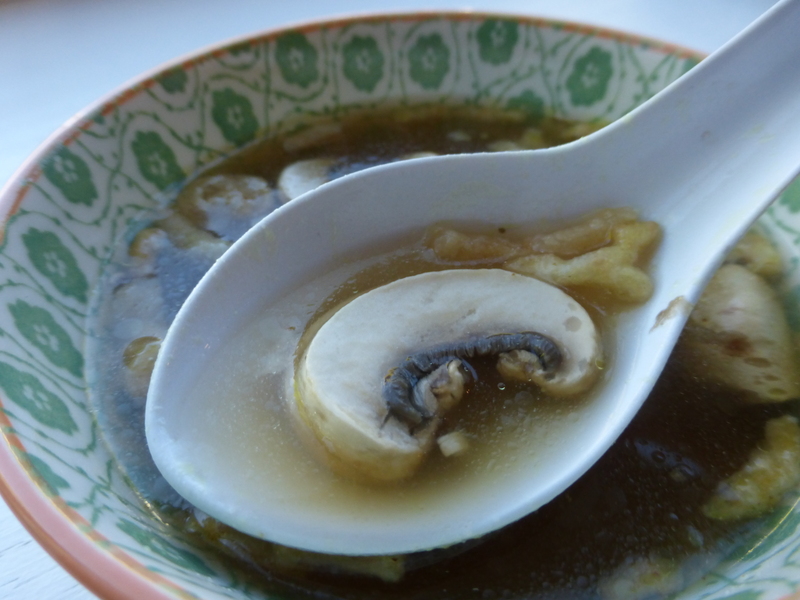 We all love the near-clear soup they serve, with just a few mushrooms and onion bits floating in it and when I found this recipe I knew I had to try it. I tweaked it a bit and, while it’s not exactly like the local restaurant’s, it’s pretty darn good as is. Cut the celery, onion and carrots in fourths and add to the water in a large stock pot. Cut the ginger and garlic into a few pieces each and toss into the water, along with the bouillon cubes. Cover the pot and bring to a boil; reduce heat and simmer for a least an hour. Strain the vegetables, discarding them and leaving just the broth. Add the sliced mushrooms and simmer a few minutes more. Serve with a few French fried onions sprinkled on top. Thank you for posting this….great photo and I can’t wait to try it!